One of the most extraordinary men of the Victorian age, John Patrick Crichton Stuart, the 3rd Marquess of Bute, was a fabulously rich and visionary creator of great architecture. Heir to the Scottish estate that shares his name, as well as a massive Welsh fortune left by his tycoon father who helped to develop Cardiff into a major city, he set about making his dreams come true in both Scotland and Wales. Bute: The Scot Who Spent a Welsh Fortune examines the life of Lord Bute and what connects his ancestral home of the Scottish island of Bute to modern day Cardiff. Upon coming into his fortune at 21, Bute set about on a lifetime of collaborations with artists and architects. 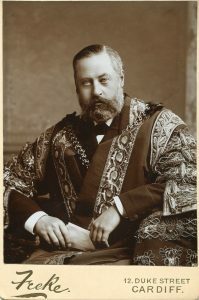 Among his collaborators was eccentric Gothic designer William Burgess. Together, they transformed the medieval Cardiff Castle into a Welsh Camelot with its fantasy towers and lavish interiors. They also restored the 14th century ruins of Castell Coch as a summer party house. This included the first productive vineyard in Britain. In 1877, Bute’s ancestral home of Mount Stuart on the island of Bute was destroyed in a fire. 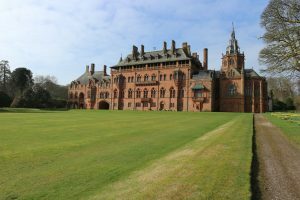 Turning disaster into triumph, Bute, needing a family home, created one of the most extraordinary Victorian buildings in the world to take its place, rumoured to be the first £1m house. The Bute family footprint still looms large in Cardiff and the names connected to them can be seen around the city – among them Bute Street, Mount Stuart Square, and the now demolished Ninian Park football ground named after the 3rd Marquess’ second son. The architectural legacy of Lord Bute is still on display today in the city that his family helped create, and his obsession with the Gothic style has entered the architectural DNA of Cardiff’s domestic buildings.